Who said you can't have it all? 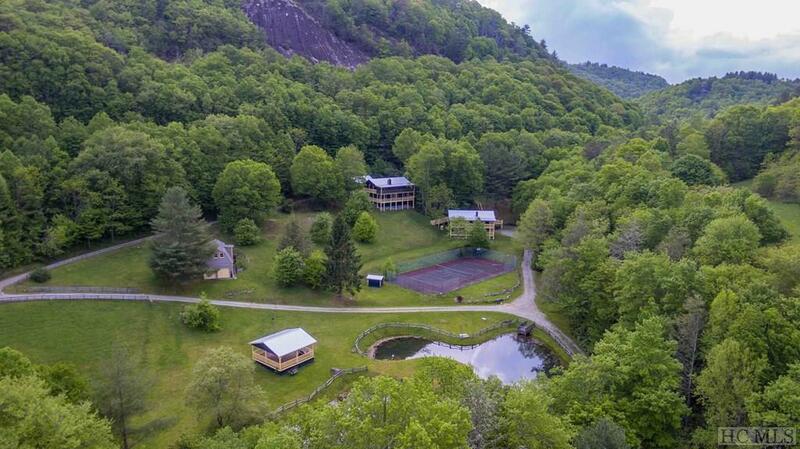 This 61+/- acre property is private, has several ideal main home sites, 2 recently updated 2-bedroom/2 full-bath guest cottages already in place, a 600+/- sq. ft. barn for storage and a 2,880 sq. ft. quality metal barn with heat, hot water, a concrete floor with groundskeeper's quarters including a large eat-in kitchen, full-bath and bunkroom. 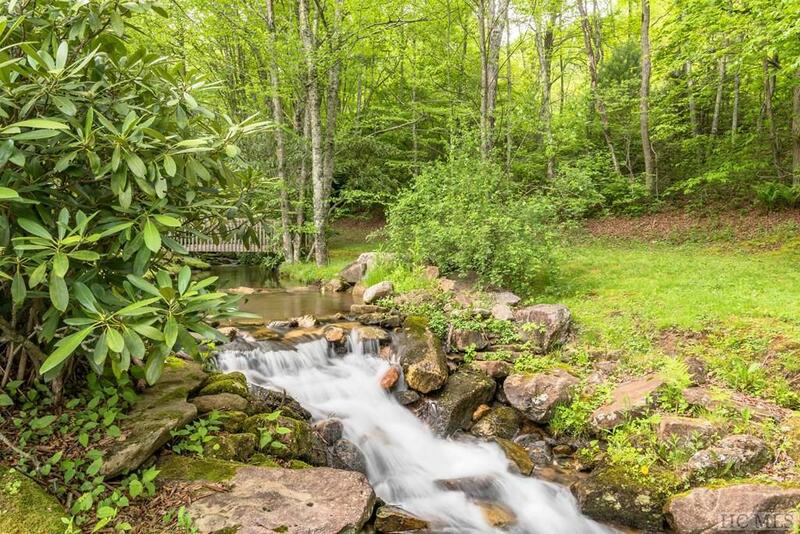 If that is not enough, there is bold Glassyrock Creek winding through acres of property, a trout pond with a small fishing dock, a large, covered pavilion and outdoor tennis court! 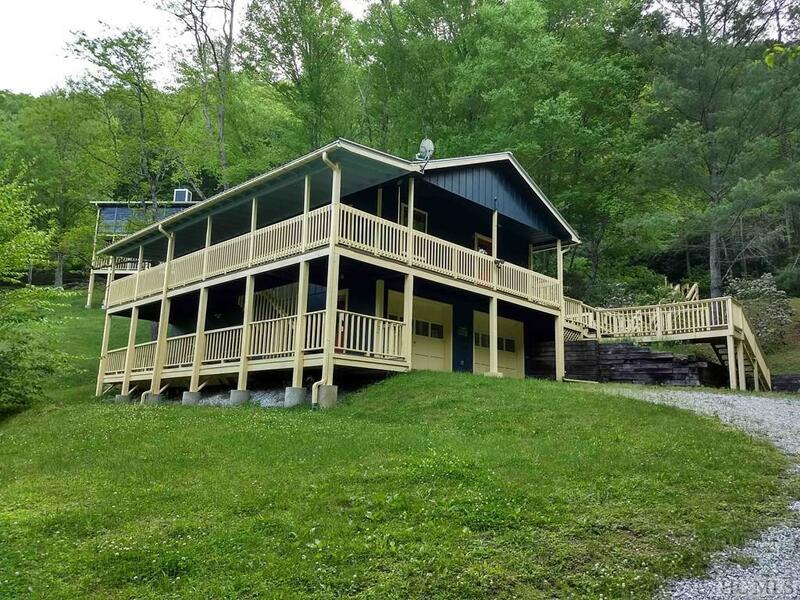 Just add the main home of your design tucked into the woods overlooking the beautiful cascading creek or out in the open pasture with a rock cliff wall view. 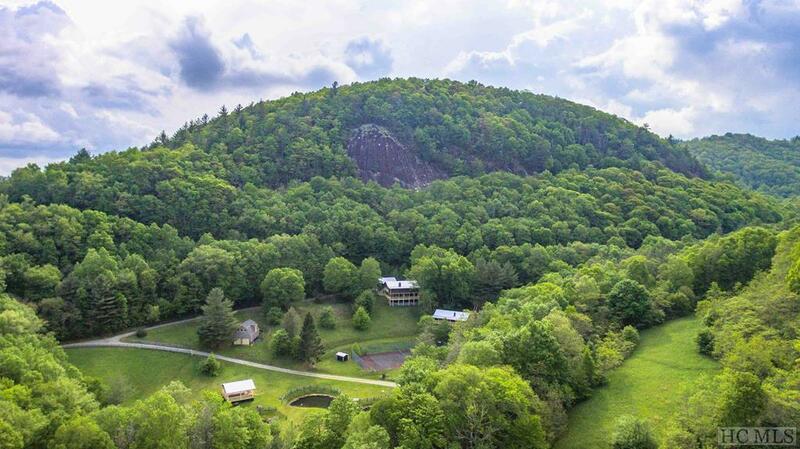 This special place is only 8-10 miles to shopping and all the activities in Cashiers, NC, approx 18 miles to historic Highlands, NC and approx 3 miles to Lake Glenville. Lake Glenville is a pristine reservoir with 26 miles of shoreline and is the highest elevation of any lake east of the Mississippi. The water temperature high ranges from 72 to 80 degrees during May through September, which is ideal for swimming, water skiing and tubing fun. The lake offers plenty of things to do including motor boating while tubing or water skiing, as well as canoeing, kayaking, sail boating, paddle boarding, and knee boarding. For the fisherman, the lake has large and small mouth bass, walleye, yellow perch. crappie, rainbow and brown trout, large brim and a few catfish. Whether you own a boat or chose to rent, you have 2 public boat launches and a marina to get you "on the lake. And for the "land lovers we have many hiking trails, waterfalls, golfing & tennis clubs, and endless seasonal activities to fill your schedule! A TRULY REMARKABLE PROPERTY OFFERING THAT YOU MUST SEE TO APPRECIATE. Listing provided courtesy of Frank Pimental of Landmark Realty Group.